Many of us (outside of our knowledgeable IT teams) don’t think much about the infrastructure that makes up our office environments. What we don’t often know is that there are large amounts of cabling that make up our modern office infrastructure, they snake through the buildings we work in everyday. These cables connect floors and offices, eventually terminating at access points which often run to remote locations inside of the building. Have you ever wondered how these cables hold up in the case of a fire? There are certain safety codes and organizations that regulate the manufacture of this type of cabling, for example, the National Fire Prevention Association (NFPA), the Telecommunications Industry Association (TIA), and the Communications Cable and Connectivity Association (CCCA). The purpose of these regulations is to ensure that in the event of a fire, your cabling doesn’t act like a fuse, spreading fire throughout the whole structure. The Communications Cable and Connectivity Association (CCCA) released a short video outlining the dangers of cheaply made (counterfeit) communications cabling. 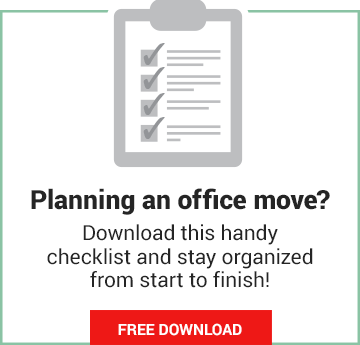 They did a great job of showing the reasons why it is very important to ensure that cabling for your office, or building, is done by a reputable company that adheres to industry standards. In Steiner tunnel fire testing, Underwriters Laboratories (UL) compared counterfeit communications cabling (often sold cheaply through online vendors) with cabling that met regulatory standards, by placing 17 ft of cabling inside the tunnel and lighting it on fire. In the cabling that met the standards, the fire (which was started at one end of the cable) spread only 1 ½ feet within 2 ½ minutes and did not travel any further down the cable, though it was allowed to burn for nearly 20 minutes. In the counterfeit cabling (which showed what seemed like official markings in compliance with safety codes) there were very different results. The fire, which was started at one end of the cable, moved rapidly, and in less than 6 minutes it had spread the entire length of the 17 ft tunnel. No matter what category (Cat5/Cat6 etc.) 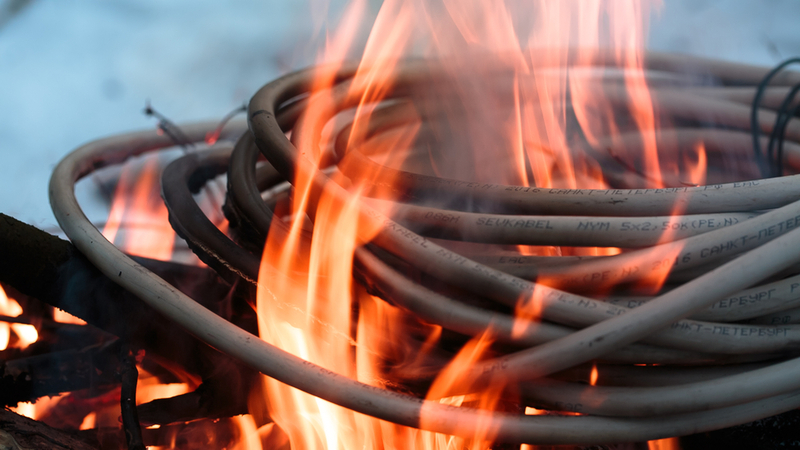 of (counterfeit) cable the laboratory tested, the result was the same, with the entire length of cable being quickly engulfed in flames. If this wasn’t a contained Steiner Tunnel test, you can imagine how much damage might be done in the short time it would take for the fire to spread throughout a building. Aside from the liability issues for contractors, installers, and building ownership groups, a situation like this would be incredibly dangerous for anyone who spends their work week at any office building that hasn’t been diligent in their vetting of something as important, but seemingly minuscule, as the quality of their communications cabling. So how can you spot counterfeit cable? It’s not always easy to identify counterfeit cable, but there are a few ways that you can ensure your cabling meets safety standards. One of the simplest ways to ensure you are getting quality cable is to hire a reputable company, one that has been certified with a reputable cable manufacturer.For example, at Total Communication Services, we use General Cable and Hubbell connectivity (jacks, faceplates, and patch panels). Together, these components form the mission critical 25 year warranty from Hubbell that ensures that our customers are receiving the best quality in their cabling infrastructure. Our technicians have also been fully certified by Hubbell, which is no easy task. 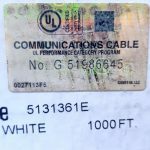 If you are going to install cabling yourself (if you are a certified installer), are planning on going with cable from an online source, or even if you just want to make sure your “reputable company” is indeed that, you can make sure that the cabling being installed in your premises has been UL (Underwriters Laboratories) tested and that it has valid ETL marks.While many counterfeit cabling options will include language in their documentation insinuating that they have these certifications (some going as far as to attempt to forge them) there are ways you can still check to see if your cabling is authentic. 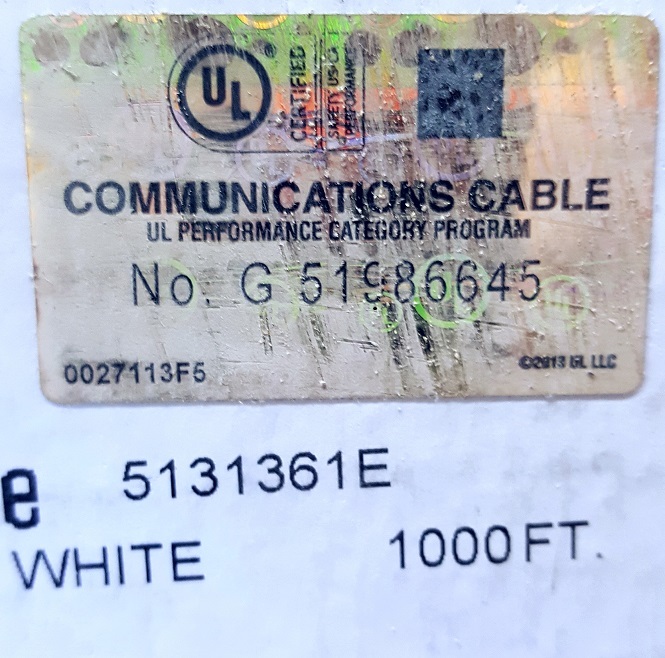 Watch out for cabling with poorly done printing or grammatical errors, or errors of any kind that don’t resemble the packaging, marks, or legend from a reputable manufacturer (like Hubbell). ETL marks must be accompanied by a manufacturers control number and that the number will check out if the cable is legitimate. You can see a particular set of cable’s test results from the manufacturer, or through checking with an organization like Intertek. 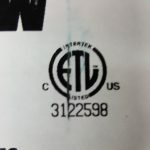 The UL trademark should have the letters “UL” arranged diagonally within a circle and with the registered trademark ® It will also have either a 4-character alphanumeric control number or a 4-6 digit issue number which may be preceded by “No.” or “Issue No.” and 1-2 letters. It will also include a product identity phrase which concisely names what the product is. 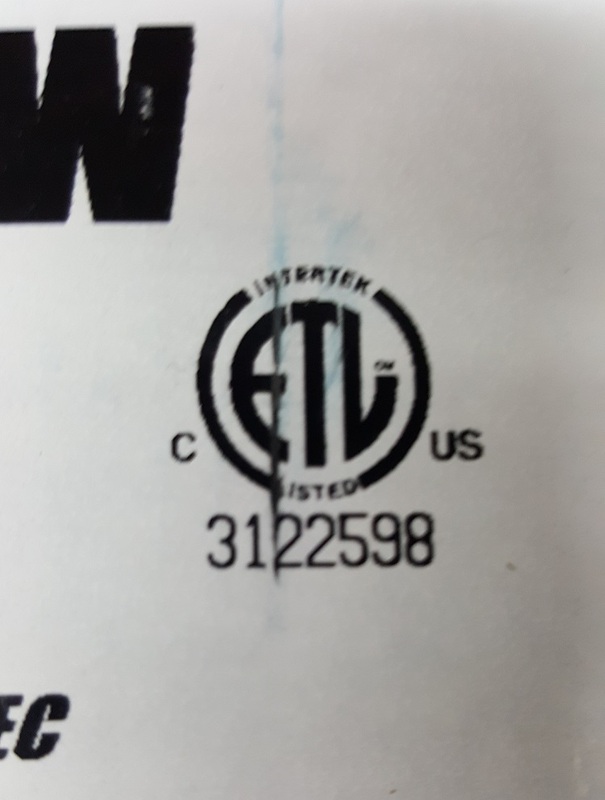 Underwriters Laboratories is also helping to cut back on counterfeiting by requiring all UL certified products have the UL holographic mark (as seen in the above picture). It includes: a gold background that is easily identifiable, color-shifting ink, Micro-printing, wavy lines, and a pattern of floating UL symbols. There is a lot of great information on this topic online, from why using certified cable is so important (as shown in the video we added above), to spotting counterfeit cable, to important information and tips from the pro’s about what you need to know about voice and data cabling. When all is said and done, the easiest (and safest) way is to find a reputable company and let them do the job the right way, the way they’ve been certified to do it, using quality materials and with their reputation on the line. Are using cable that is up to industry standards (you now know how you can easily check to make sure you are getting the quality you’re paying for). And that they give you a comprehensive assessment of the expected life span and guarantees of the cabling they are installing. Hopefully this information helps you in your decision about where to buy cabling, what to look for, and how to ensure you get the quality that you need.